Rebroadcast from February 23, 2017 webcast by popular demand. Condition codes W2 and 44 both allow hospitals to recover some reimbursement for incorrect inpatient orders; however, they require different processes and, depending on the situation, may generate slightly different payments. Hospitals should consider shifting to condition code W2, rather than condition code 44, through a self-denial process. This webinar will discuss strategies to take advantage of efficiencies in the utilization review (UR) process through the use of condition code W2 while minimizing negative impacts on the revenue cycle. Join expert speaker Kimberly Anderwood Hoy Baker, JD, CPC, as she discusses operational strategies for using condition code 44 and W2 processes to get reimbursement for inpatient non-covered cases while leveraging UR resources. She will offer tips for concurrent and post-discharge review, including the interface between UR and coding and billing. She will also break down case studies to compare payment using condition codes 44 and W2. 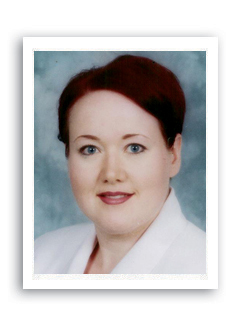 Kimberly Anderwood Hoy Baker, JD, CPC, is the director of Medicare and compliance for HCPro. She is a lead regulatory specialist and lead instructor for HCPro's Medicare Boot Camp®—Hospital Version and Medicare Boot Camp®—Utilization Review Version. She is also an instructor for HCPro’s Medicare Boot Camp®—Critical Access Hospital Version. She is a former hospital compliance officer and in-house legal counsel, and has 10 years of experience teaching, speaking, and writing about Medicare coverage, payment and coding regulations, and requirements.